Two types of sunblock exist. Both physical and chemical sunblocks are available. Zinc oxide and titanium dioxide are the physical type, meaning the sunblock is not absorbed by the skin's surface, according to "The New York Times." When applied to the skin, these ingredients reflect light, much like a mirror. Understanding which ingredient is right for you can help to protect you against the sun's harmful effects. True to its name, titanium dioxide is produced from titanium. In its natural state, titanium is chalky, white and highly reflective, according to "The New York Times." Zinc oxide is derived from the mineral zinc to create a material that is effective at blocking the sun's rays. When applied to the skin, zinc oxide can have a white appearance and also feel slightly heavy on the skin, according to Paula Begoun, an author and speaker known as "The Cosmetics Cop" for her work in evaluating the safety and efficacy of cosmetics. Both titanium dioxide and zinc oxide are derived from chalky, reflective materials. While this is beneficial in reflecting the sun's rays, the application of these materials can be unappealing on the skin, because it results in the white, chalky appearance, according to the Environmental Working Group. For this reason, sunscreen manufacturing companies work to scale down the particles for chemical sunblocks. Titanium dioxide is scaled down to between 10 and 100 nanometers (nm), a unit of measurements used to measure very small particles, while zinc oxide is scaled down to 30 to 200 nm. This makes each particular go on the skin less noticeably, yet without being so small that it penetrates the skin. Titanium dioxide is noncomedogenic, meaning it does not contain oil that can clog the skin's pores, according to "The New York Times." In addition to its sun-fighting properties, zinc oxide is known for its noncomedogenic and antimicrobial properties. This can help to enhance wound healing. 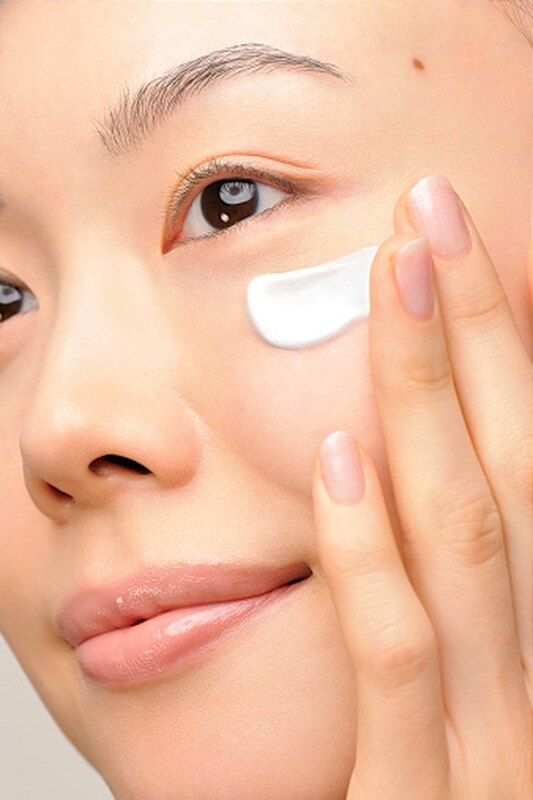 However, the heavy or thick nature of the products can sometimes contribute to clogged pores, although this likelihood is smaller than other sunscreen products, such as avobenzone and oxybenzone, according to Begoun. In terms of effectiveness, zinc oxide has a slight edge over titanium dioxide, according to SmartSkinCare. Titanium dioxide is effective at blocking ultraviolet-B and short-wave ultraviolet-A rays, but it is less effective than zinc dioxide at blocking long ultraviolet-A rays. Zinc oxide's ability to block different types of rays makes it one of the most effective sun protection products on the market at fighting the sun's rays. However, zinc oxide often is combined with additional ultraviolet-B blockers to provide the most complete broad-spectrum sunscreen. When trying to find the right sunscreen ingredient for you, Begoun recommends experimenting with each ingredient to ensure it will not cause skin irritation. If your sunscreen is combined with a foundation or other makeup, be sure to apply a sufficient layer to offer sun protection. Because zinc oxide offers slightly better coverage across the sun's ultraviolet spectrum, you may wish to begin with this ingredient, then switch to titanium dioxide if you find you cannot wear zinc dioxide. What Kind of Paint Do I Use on a Bicycle?